All of the radishes in the garden had to go because I needed the space. It was a large bunch, more than we could eat right away, yet just enough for a small jar of pickled radishes. 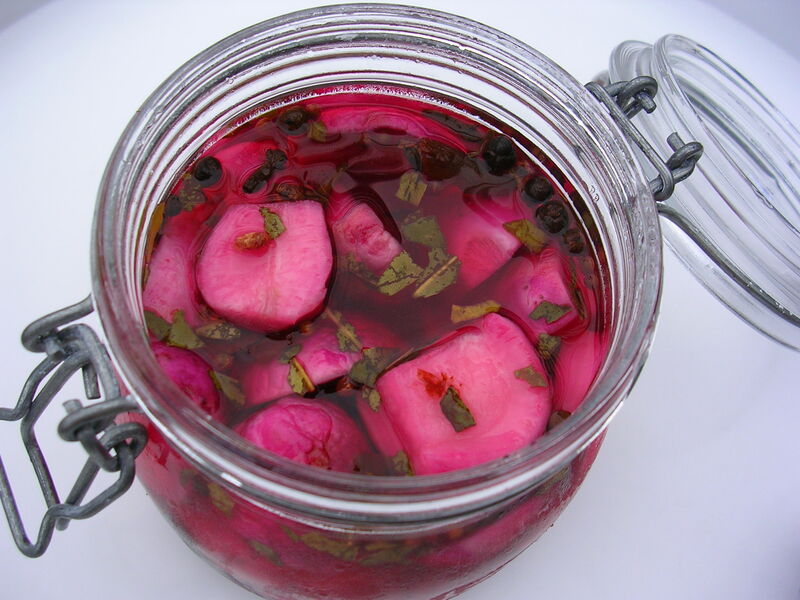 My initial idea was to make something like Egyptian torshi, bright pink turnips and beets in brine, but then I settled for a sweat-and-sour pickling liquid. This is a „short-order pickle“ – one that should be eaten within a couple of days. The radishes do get wrinkly but that’s just looks. A word of caution: the smell is quite strong, although not much stronger than a good ripe cheese. The two of them taste good together, too. 1. Remove the leaves, root end and root hairs from the radishes. Brush under cold water and dry. 2. 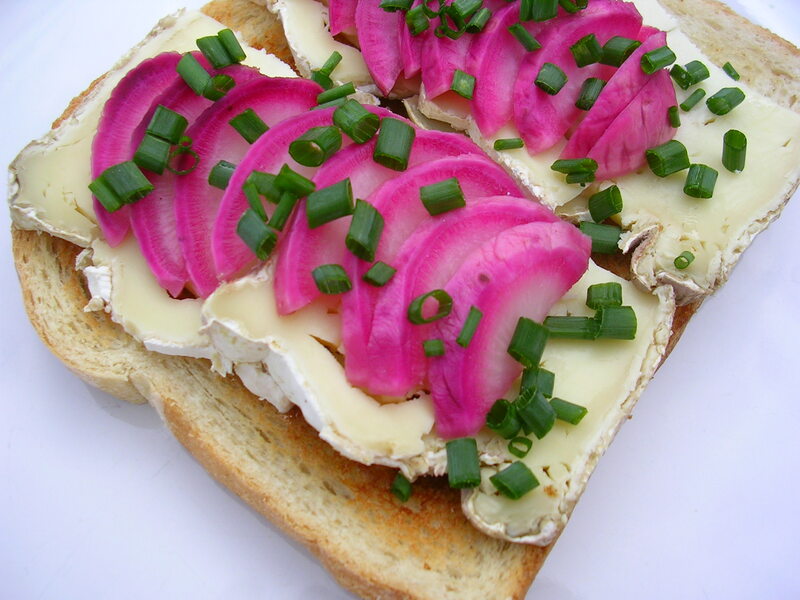 Leave the radishes whole if very small, or half/quarter them depending on size. I prefer cutting them to make sure they don’t contain any worms. 3. Pack in a jar with a tight-fitting lid. Place the jar on a folded damp kitchen towel (that prevents it from cracking when you add the hot liquid). 4. In a small pot, bring vinegar, sugar, salt and pickling spice to a boil, scraping down the sides and stirring, until the sugar is fully dissolved. Pour the hot liquid with the spices over the radishes. They should be fully immersed; add more vinegar and sugar in the same ratio if needed. Let cool, then close the jar tightly. Refrigerate for a day before eating. This recipe looks delicious I would love to entertain my guest with this wonderful treat. I was able to grow double my vegetables this year with this easy guide and the strawberries were very good.